97 Weldcraft 20 Ft. Aluminum Jet, very good Condition, 351 Fuel Injected, 270 HP at pump 230 Hrs. 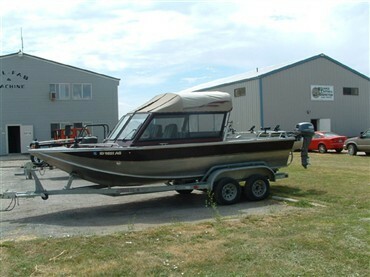 Extras include Suspension seats, heated cabin,Hummingbird fishfinder, 2 downriggers,rod holders,24 Vlt. trolling moter on bow, 15 HP 4 Stroke. Yamaha W/ remote steering on stern, anchor, lines, stomp grate, storage cover, on 2 axle Galv. Tricker Trailer.